Large 4.2m wide reception counter and visitor counter with RGB LED lit cross-thatched front panels. 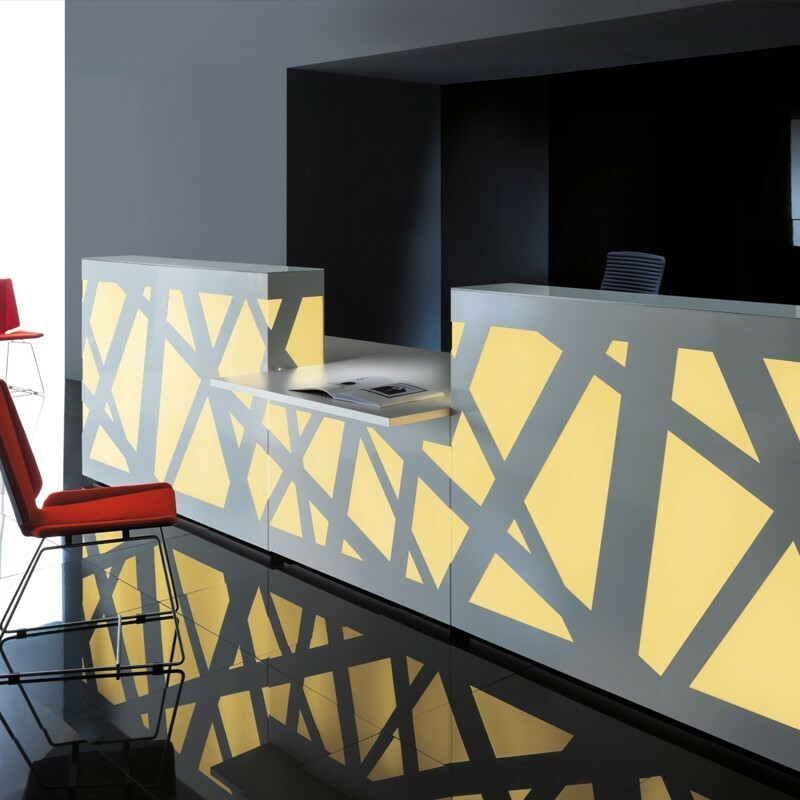 The Cross-Thatch reception counters feature a distinct cross thatch style with rgb led lit front panels. Large reception unit includes wheelchair accessible visitor counter and controls for adjusting colour, intensity or programed colour cycling. Storage sold seperately.